Young Nick is becoming quite the outdoorsman. 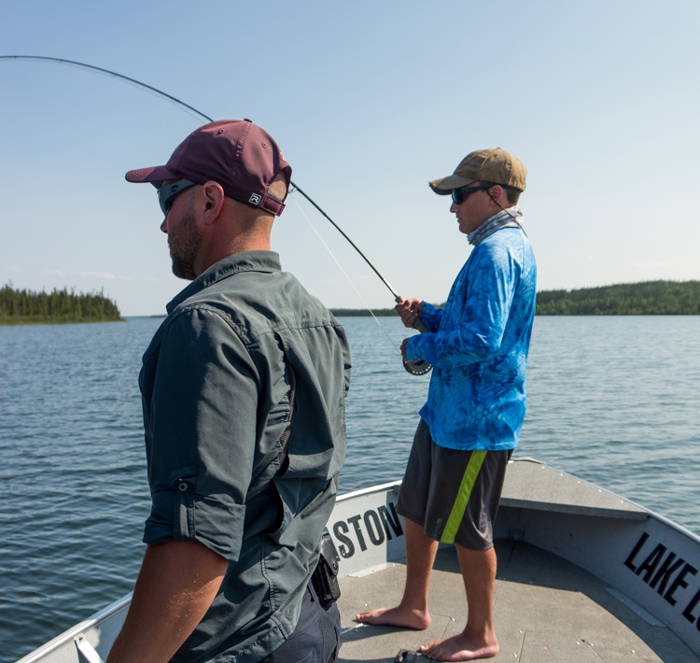 While fishing at Wollaston Lake Lodge with his family for the past few years, he kept eyeing the fly rod as his next challenge. After a few quick casting lessons with the Recon, he was able to see this fish and make a cast to it. A 47-inch trophy northern pike was his reward. He will never forget the epic strike, and these pictures will serve as reminders of the moment for the whole family. Learning in the outdoors is never wasted on the youth, and this moment of enjoying and conservation should last him quite awhile. Who knows? Maybe he can come back and catch this 47-incher as a 50-incher in a few years. Nick sends his big fish back home, hoping it will top 50 inches the next time someone sees it. Welcome to the fly fishing family, Nick. 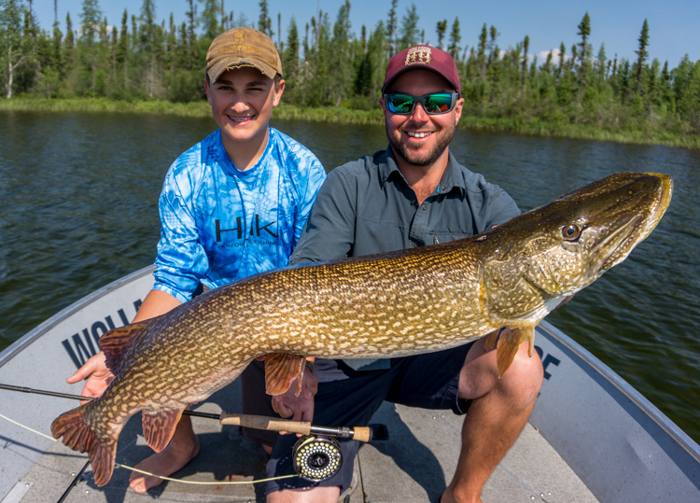 Mike Lembke is the owner and operator of Wollaston Lake Lodge in northern Saskatchewan.